I recently had the opportunity to test drive the Nikon D7000, and in a word: Wow! The D7000 is Nikon’s latest consumer DSLR. It includes a 16.2 megapixel CMOS Nikon DX format sensor (1.5x crop) and is capable of shooting up to 6 frames per second. It shoots video at 1920 x 1080 24fps, and has twin SD (SDHC/SDXC) card slots. The latter is a great feature – you can configure the camera to separate JPEG and RAW files or JPEG and movie files onto separate cards, or use the second to just keep shooting. I personally would prefer the larger and more sturdy CF cards, but SD has become the standard for consumer cameras, and the ability to simultaneously shoot JPEGs and RAW files to separate SD cards has definite advantages should one card fail. Shown with Nikon 18-105 included in kit bundles. Full specifications are here. Compared to my D200, I found the D7000 small and light. The live view (though the LCD) feature made some types of photography easier. The autofocus was fast, accurate, and responsive. But the dramatic difference was in low light capability. With a fast lens, I found myself shooting without flash indoor and outdoors at night. In the end, image quality is what counts, and images from the D7000 were superb. The D7000 takes image quality to a new level. 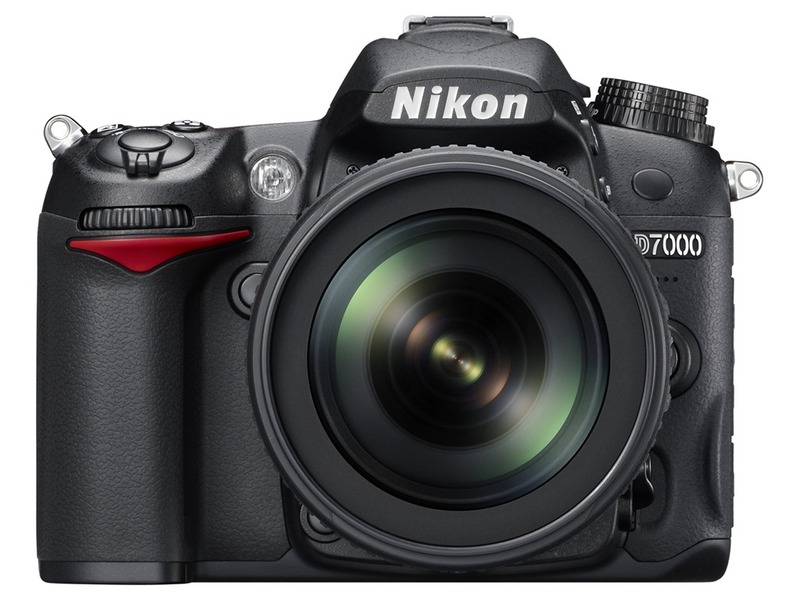 Ken Rockwell calls the D7000 “Nikon’s best DSLR ever.” Taking into account its $1200 price tag, I agree. Added Oct 2011: The Nikon D7000 appears on our new recommended cameras page. Added Nov 2011: I purchased a Nikon D7000 and Nikon’s new 35mm f/1.8 DX lens. They make a great lightweight combination.